The Hot Wheels Zoom In car holds a small cube-shaped camera. 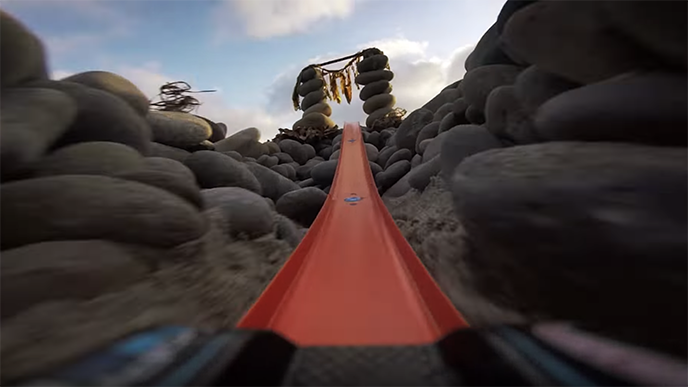 If your kids set up crazy obstacle courses and tracks for their Hot Wheels, they can now see what it would be like to navigate those courses through the eyes of the vehicle thanks to the new Hot Wheels Zoom In car that’s compatible with GoPro cameras. The Zoom In car was designed to hold GoPro’s small Hero Session and Hero5 Session cameras. The cameras themselves aren’t cheap -- the Hero Session and Hero5 Session are currently going for $120 and $199 on Amazon, respectively -- but the Zoom In car can be purchased at U.S. stores for just a buck. As CNET pointed out, the two compatible GoPro cameras are discontinued, so if you want to grab one, it’s better to do it sooner, rather than later. The Hot Wheels car is also a limited edition model, so be on the lookout if you're interested in grabbing one for your family.